Could you check it out? I tried their instant quote based on your V2 schematic. I may have answered some of the questions incorrectly, but 8000 units appears to be around $2000. I'm looking at it. Once I get the V2 layed out, I'll upload it there and put in some numbers and see what they give us for assembly quote (and PCB manufacture). 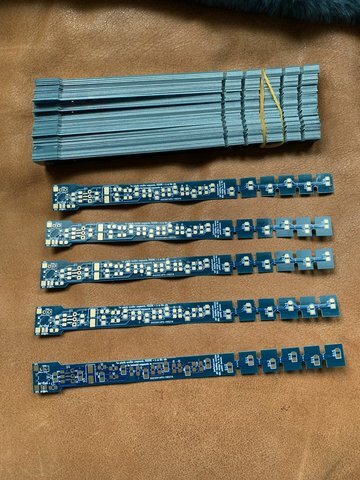 They are similar to the place I am getting the V1 boards done (which claims to be the largest PCB prototype and small batch manufacturer) but the place I am using now does not do assembly. I have soldering tweezers, great for SMD stuff. Are you talking about something like this? Or something else? No I think he is referring to this kind of soldering tweezers. Basically tweezers with soldering iron tips at each end. you can heat bit sides of a smd component at once. 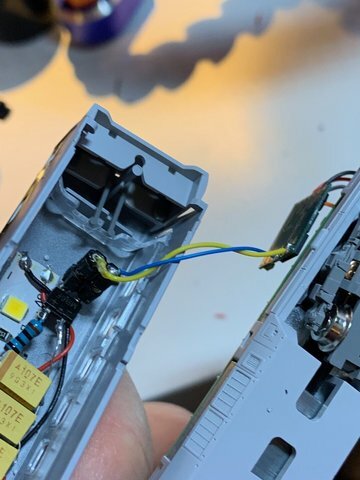 At times it can be hard to desolder both sides of a part if you can’t get a rework blower in place to heat both sides evenly or need to keep heat localized. 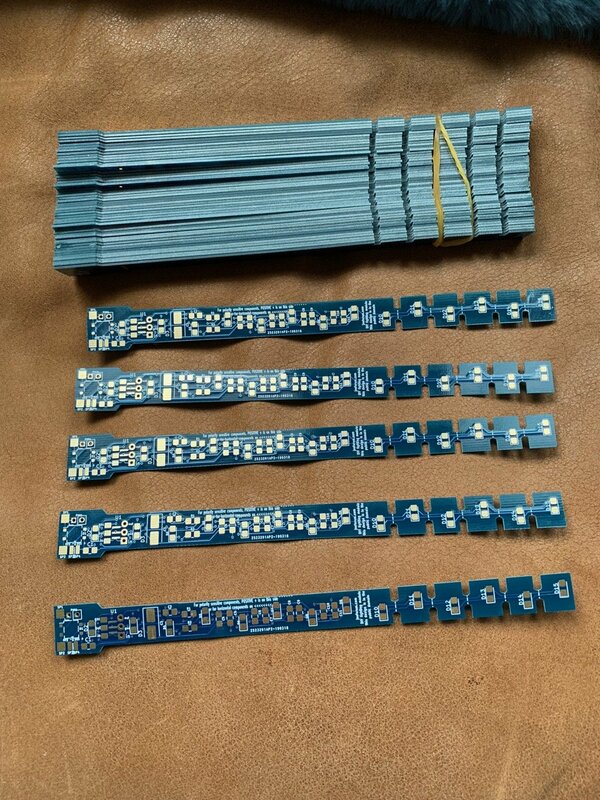 Does require a very steady hand with small smd bits. Probably a lot faster with a rework blower to put down a lot at once. Rework blowers can move parts around some so again it can be handy in tight spaces and not heat up and reflow the component next to one you are putting down. Most good rework station have these as an optional iron attachment in place of the single tip lead and are not as expensive as all in ones. I did mean something like Jeff linked yes. The soldering station I have I bought as a set. It’s a digital one with very fine temperature control and has 2 outputs. One for the included micro soldering pen, the other for the included soldering tweezers. Of course, you can also hook up other items, I have a higher powered soldering iron as well for example. I use use the tweezers mainly for desoldering and replacing SMD components. On new boards I generally use the soldering pen and just solder 1 side of the SMD component at a time, but it’s quite possible to do so with the tweezers as well. 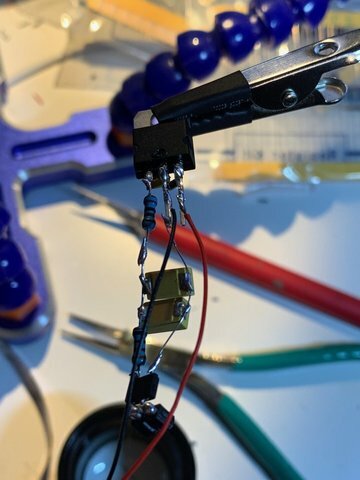 The tweezers are also great for removing non SMD LEDs from a light board, since you can easily heat both legs at the same time. This is what you have Martijn? It looks great. Desoldering is a pain. Usually I have to go over and back a few times before I get a component fully desoldered. Also I had a radioshack pencil iron, but it was very low voltage. I think you're exact set is discontinued, but I think I'll get a system like this. Probably a suitable birthday present. That’s the one yes. Was quite an investment but soldering is now no problem rather than one of the most annoying things of model railroading. It also heats up real fast (3 seconds to get to 350 degrees) and the tips can be swapped even when they’re still hot, since the heating element is part of the tip itself. The V1 boards are listed as "Waiting for carrier pickup". Since I specified DHL, I should probably see them Monday, assuming they get picked up reasonably. For some reason the V1 boards are still listed as "waiting for carrier pickup". Might delay receipt past Monday now 😞 even with speedy DHL. I added a decoder to the motor car of my Tomix Hikari RailStar Shinkansen 700 (92822) today. 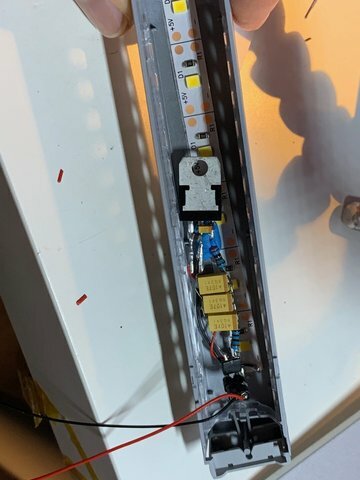 I decided to add some "LED strip" lights to it to test both the decoder output as well as the V2 circuit. 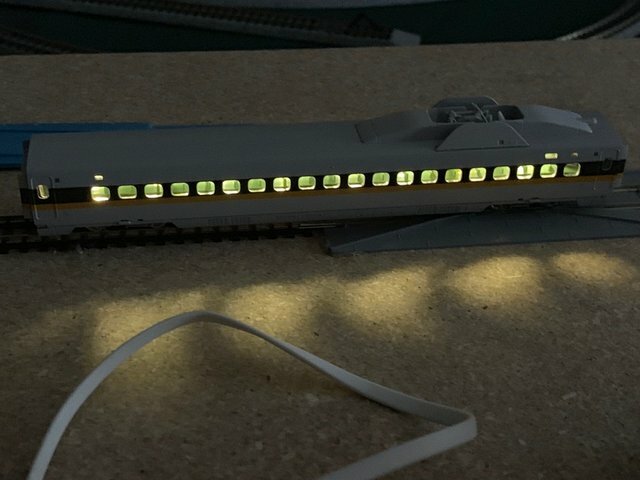 I created a circuit similar to the V2 circuit and used 8 of the 5V strip LEDs (warm white based on looking at pics of Hikari RailStar 700s online). I got it working (after a scare that ended up being a broken wire). With 300uF I get a good fraction of a second and with it going around my track (which I have never cleaned), after the first 5 or so seconds, where I saw some flicker, I have not seen flicker since (running only the motor car so I don't have 8 wagons of electrical pickup). So minor disturbances seem to be mitigated. Using our boards, I'll probably put 450-800uF myself. This uses a 2.2K dimmer resister and a 100 ohm one from the rectifier into the caps. I did not place one after the voltage regulator since the strip LEDs have a resister per LED already. I'll replace these with a board once we get them in and tested. I also got some breadboards and am awaiting non-SMD caps so I can better test the V2 circuit. it so you don’t have the 2.2k resistor placed between the caps and the led strip, correct? If so then you are powering the leds at full 20ma from the caps when there is a break and why it’s not lasting long. The resistors on the 5v strips are only limiting current to like 20ma. 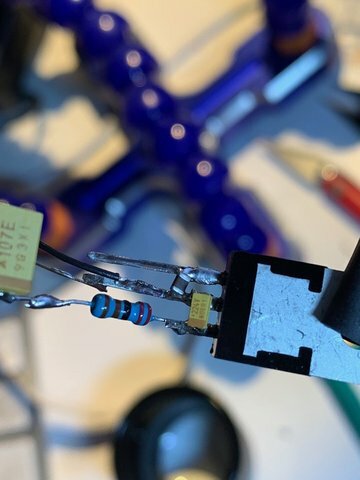 when you have the 2.2k limiting resistor between the caps and the leds you are limiting the current way down to like 3ma when in cap discharge mode and the cap charge should last longer. The 2.2k ohm resistor is between the caps and the voltage regulator in order to create the RC part of the circuit. If there was no regulating resistor they would be a lot brighter and also discharge pretty much instantaneously. Looking at RC calculators on line, 300uF with 2.2k ohms is about 2/3 a second to 60%. That is probably about what we are seeing. I get no flicker in the wagon after the first 3-5 seconds as the caps charge. If you put the limiting resistor between the cap and leds you will limit the current and thus prolong the discharge. Thats was what I was talking with Gavin about at the beginning of this circuit design. When the power is stopped from the tracks the circuit is down to just the storage cap to the leds, so you need the limiting resistor between these to keep the current from the caps limited down to the low level the leds are running at when on track power as well. If you put the limiting resistor before the caps then yes the cap will discharge fast as you are running them at 20ma each onnthe 5v strip leds. If using just the parallel resistors it will go blam really fast as there will be no current limiting from the caps to the leds. I don't think you've seen the V2 circuit schematic. It should answer your questions. The 2.2K ohm "dimming" resistor IS between the caps and LEDs. I don't know the math, but there is a 100 ohm resistor in between the V input and the cap to moderate the current hit on the caps. When I first started driving the train it flickered once or twice in the first couple seconds and then never again. Whatever that means. Caps charge and discharge at the same rate but you can limit that with resistors to limit the current. You only have 100R limiting the charge but 2.3KR onnthe discharge somthe discharge should be slower than the charge. yes cap charge equations are made to make the head hurt some! I haven’t used my math minor much in a few decades except with my friends kids calling with math questions late at night (thank you for the web!) Ironically one old friend going back to schools after her kids are out of college (who use to call with math questions), and I’m answering mom’s math questions now, have to call her kids to rib her. It was t tests last night! So the V1 boards are in. I'll be putting together a few to test starting tomorrow. I'll be using feedback from the V1 boards in physically laying out the V2 boards. The major difference between the V1 and V2 boards is where the voltage regulator is in the circuit, which should hopefully give more even anti-flicker control. 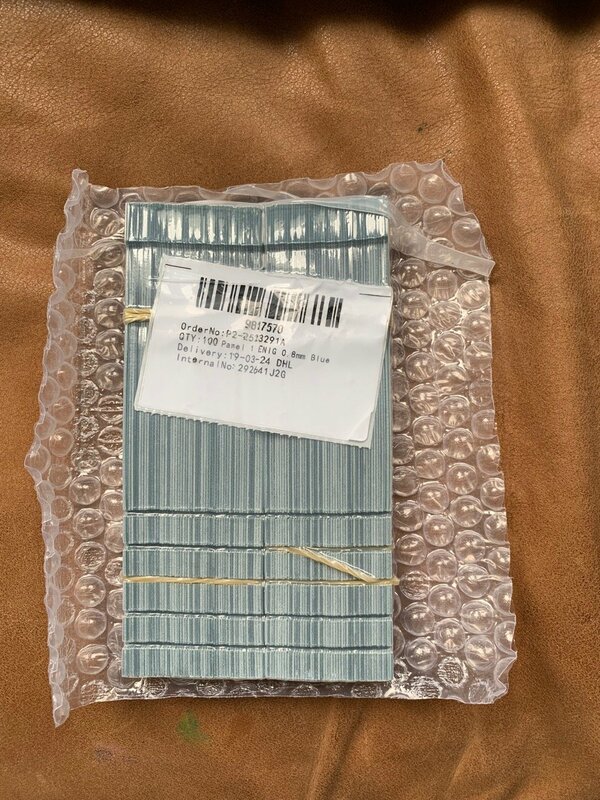 When I had the Ersatz EM13 boards made they charged extra for non green boards. But now all colors are the same price so I said to myself, “self, let’s get creative “ and decided on blue. I am tempted to get black for the V2 sample boards. Yes. Which is why I have been using darker colors (I wanted to use white but thought it might emphasize the brightness). I think the "glossiness" is a bigger factor than the board color though. (I wanted to use white but thought it might emphasize the brightness). That shouldn't be an issue as we can use the limiting resistor to set the brightness exactly where we want it. I think the "glossiness" is a bigger factor than the board color though. I guess we'll know fairly soon. Nice Job!!! 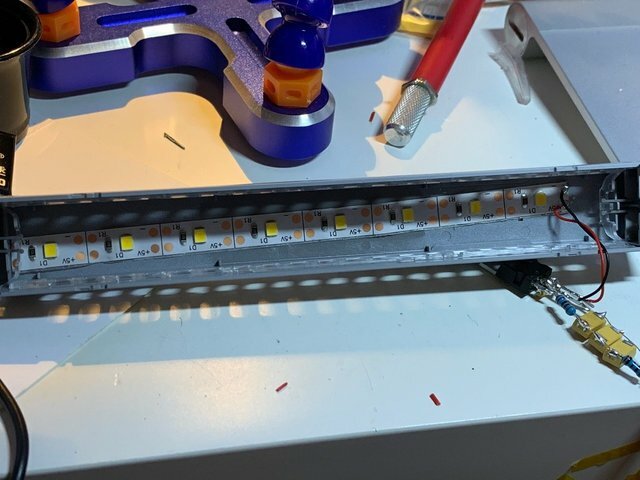 i think white is the best option if possible, as Gavin noted brightness can be set with main limiting resistor and bounce color will give an effect and maybe a big one. When we use to do the exhibit model shooting the lighting guy use to use some bounce lighting off of pretty small bits of colored tissue and it had a lot of subtle but overall profound effects on the shots. In this case I don’t thing it will be something to play with, more something to avoid messing with using the board where it’s hard to change it. If you want to mess with bounce color then maybe just use some strips up in the roof or paint floors and seats to play with things. looking forward to playing with them! I am not sure the bounce effect will do much as the LEDs will be shining away from the boards, so any bounce effect would be reflections of the light off the train interior returning back and then bouncing back. We can discuss best board color when the time comes, but I think the darker ones are probably best, though it probably really does not matter.